PeriféricoDub Sistema de Som: Operation Roots and Culture - Periférico Dub - 17/01/2010 - FREE! 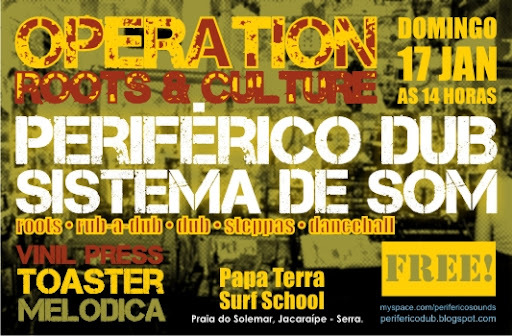 Operation Roots and Culture - Periférico Dub - 17/01/2010 - FREE! Periférico retoma os trabalhos em 2010 no clima do verão!!! Sound System de frente para o mar com o melhor da musica Reggae JA e UK. COMO CHEGRA?, MAPA DO LOCAL: CLICK AQUI! 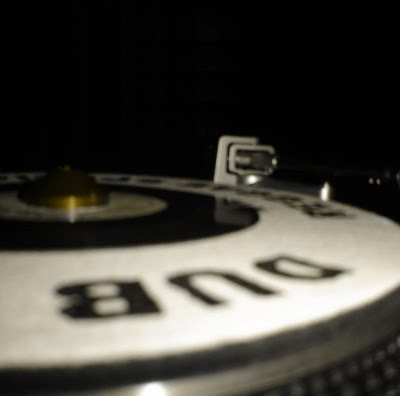 This entry was posted on 22:24 and is filed under Agenda , Dub , Flickr , Flyer , Mapa , Operation Roots and Culture , Periférico , Periférico Dub , Periférico Sounds , Reggae , Roots , Rub-A-Dub , Selectah , Sistema de Som , Sound System . You can follow any responses to this entry through the RSS 2.0 feed. You can leave a response, or trackback from your own site. agora eu vi heim.. lá na minha terrinha! massa.